Every so often I create a PDF that I hope supports parents interested in children’s education and my fellow-educators like teachers and librarians. I offer these PDFs for free as my way of giving back to the community that shares my passions. 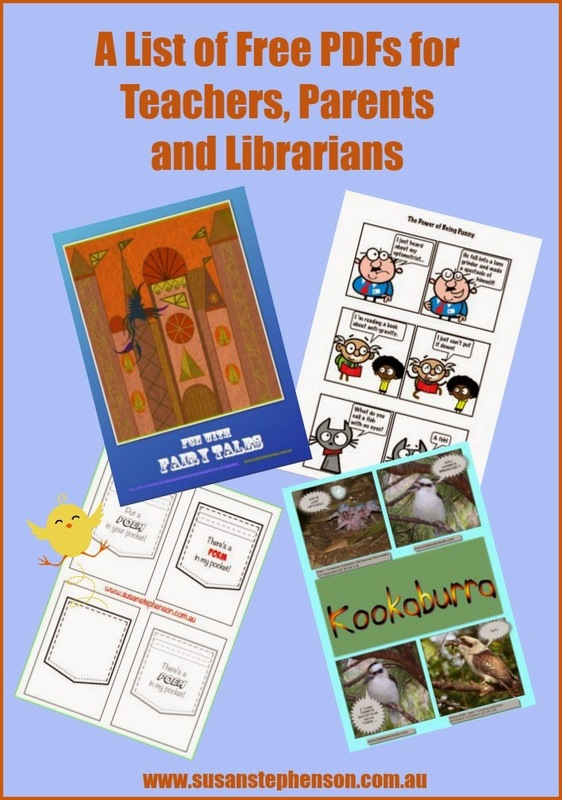 They are stored at my website, and are free to download if you are a parent, teacher or librarian who wants to use them with kids. In order to have a record of each PDF at The Book Chook too, I’ve added them to a Listly List. This List will be updated over time, so go ahead and bookmark /share this page if you think it’s useful to you or others with an interest in helping kids to learn. If you find something in the list below that interests you, simply click on that thumbnail. You’ll go to my article that tells you a little about the PDF, then click the link if you decide you want to go ahead and download. That will take you to the PDFs page where you can right click any PDF that interests you and save it to your destination drive. I appreciate your support by sharing this list, or any individual PDF, via social media.